As part of a major campaign to encourage event and festival organisers to reduce plastics at their events, we are proud to launch our Guide to Reusable Bar Cups at Events, with funding support from the Event Industry Forum (EIF). 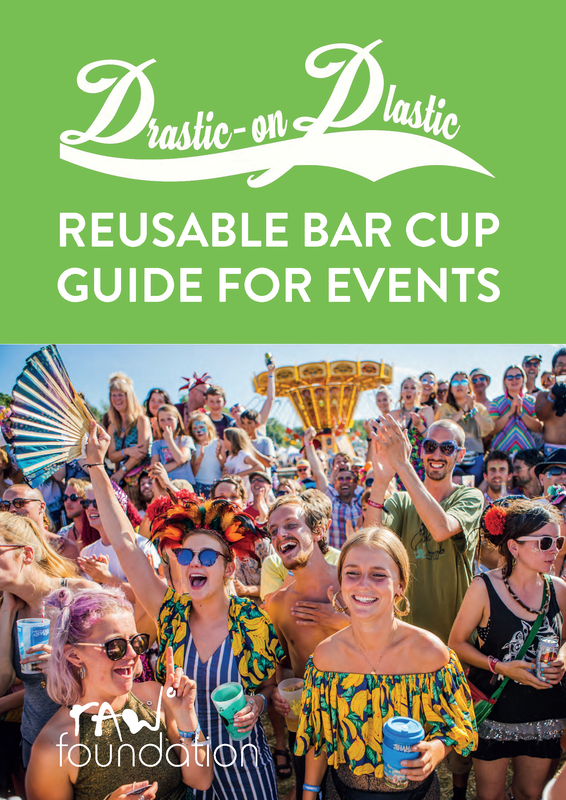 As the final resource for events in the AIF’s ‘Drastic on Plastic’ campaign, our guide provides event organisers with comprehensive information about why to choose reusable cups rather than disposables, the environmental benefits, tips on how to manage reusable cups onsite, and examples of how festivals have been successful. The Drastic on Plastic Action Pack also includes our Plastic-Free Festival Guide, which provides an overview of the action events can take, our festivalgoer guide, and templates for an A7 lanyard mini-guide. The core message is ‘re-use not single-use’ across the event industry to inspire change toward a ‘pointless plastic free’ world. We are working across the event industry to inspire change toward a ‘pointless plastic free’ world, and are presenting a new conference at the Showmans Show on Thursday 18th October. The program includes experts discussing measures that can be taken to eliminate single use plastics at events and by companies, a masterclass in values-based marketing from global branding pioneer Ed Gillespie of Futerra, presentations from innovative suppliers and networking.